Black watch with matching plastic band. 1/4" black number on LCD display. 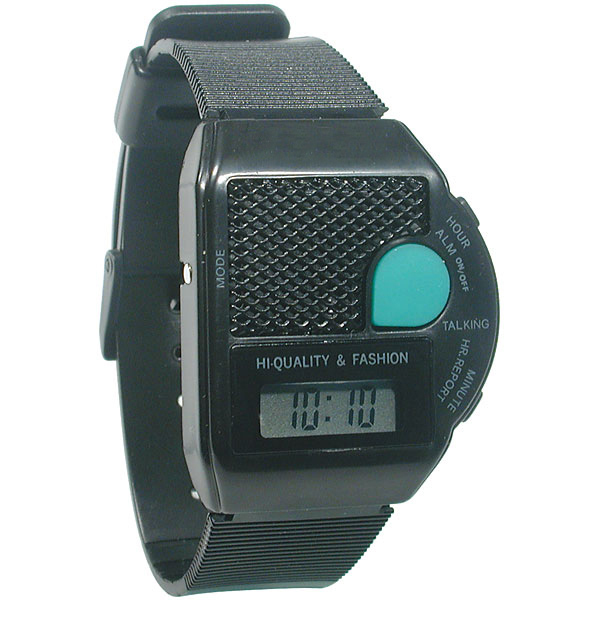 This square faced watch offers you a modern style along with its reliability. Black watch with matching band features LCD & audio time report, easy to set alarm, and hourly time announcement. Uses 1 CR2016 battery (included). Female voice.